Have you ever checked in at a Hotel or Motel with exhausting scenario of check-in at a hotels reception. Long hassles and crowds built up by impatient and furious. In order to make this process more smoothly and faster, Self service kiosk is strongly demand. 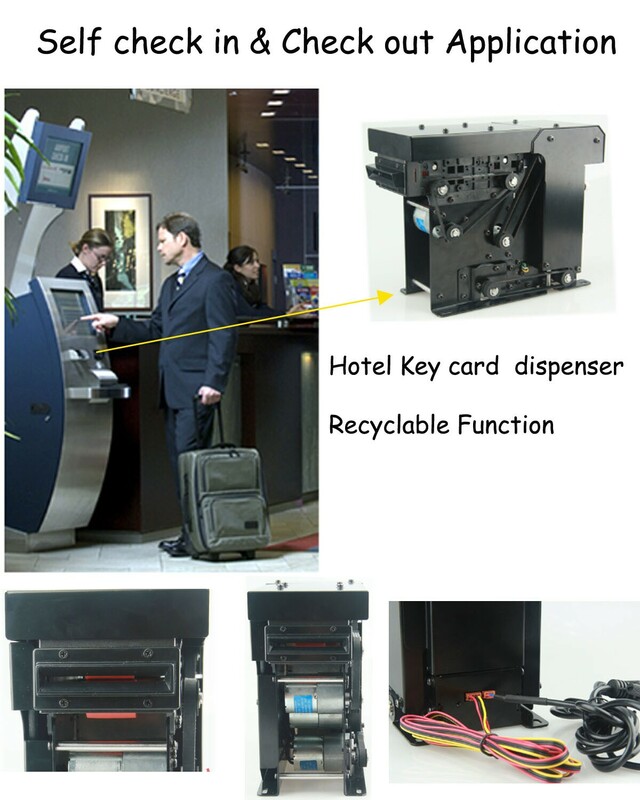 We have a recycle card dispenser specially for self-Service check-in systems.